The Tamil community in the district hosts this celebration with devotees named, the Kavadi, who are carriers that subject themselves in painful rituals that consists mainly of body piercings which is a rather unpleasant sight especially for tourists seeing it for the first time. These Hindu devotees transcend in trance which keeps them from feeling pain when undergoing the ritual. 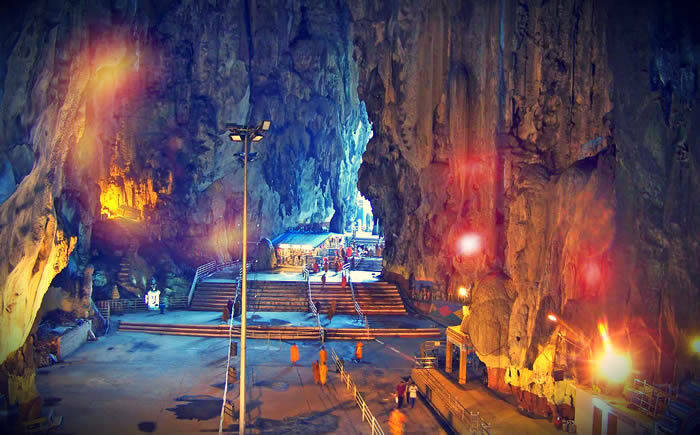 The caves are found under a 400 million year old limestone hill which serves as a pilgrimage site for the Tamil. They are a Hindu tribe that came from all over the world. They occupy three major caves and the two main cave temples which are filled with Hindu artifacts. One of the Temple Caves is one of the largest caves in the country and visitors will find the world’s tallest statue of Lord Murugan which stands at 140 feet, built with concrete and painted in gold. The climb to the Temple Cave will be through a long flight of 272 steps. Along the way to the shrine, visitors will be able to interact with the Cynomolgus monkey species and other monkey species as they climb the limestone hill. 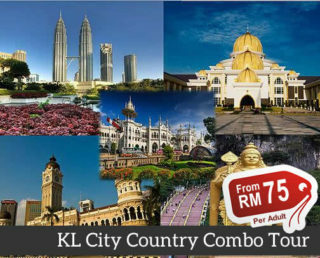 At the top of the hill, tourists will get treated to a wonderful panoramic view of the city. 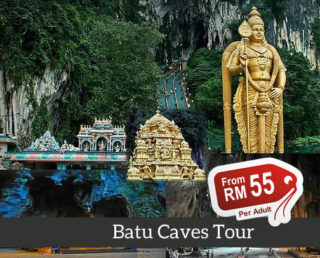 Watch this video to find out more about Batu Caves.